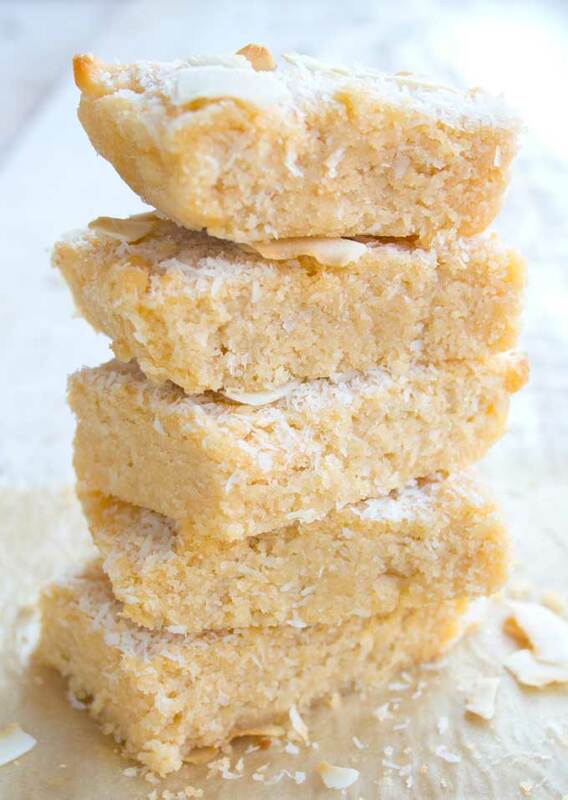 A festive treat without the sugar rush! 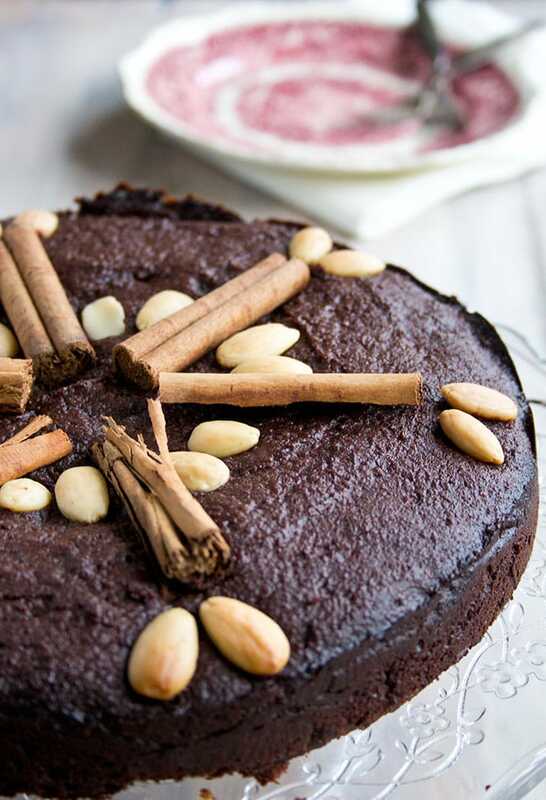 This moist flourless chocolate torte is sweetened with dates and erythritol. The perfect crowning glory for a holiday meal with irresistible notes of cinnamon, cardamom and cloves. 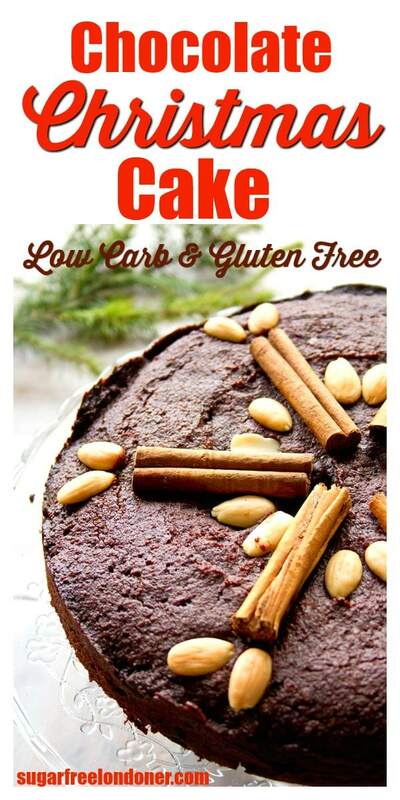 This sugar free chocolate Christmas cake is low carb and suitable for diabetics. 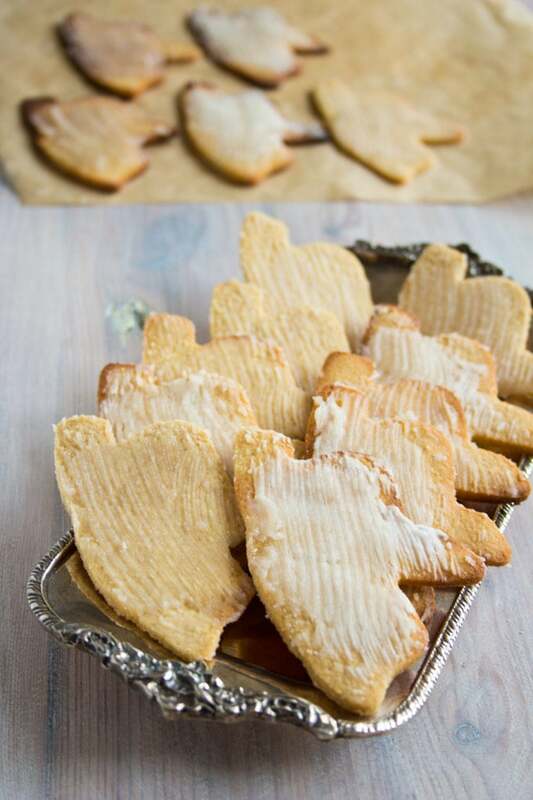 These easy Halloween cookies are sugar free, gluten free and drizzled with sugar free chocolate. 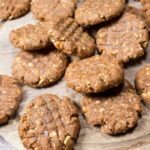 A delicious, totally guilt-free cut-out cookie recipe that’s perfect for low carb and keto diets and suitable for diabetics. 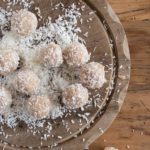 Sugar Free Low Carb Donuts Recipe – Only 1g Net Carbs! 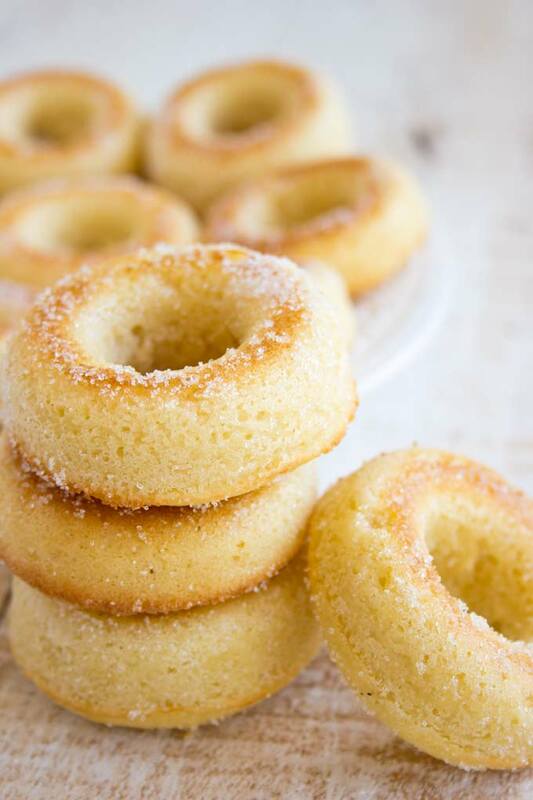 These low carb donuts taste just like the real thing, just without all the sugar and carbs! 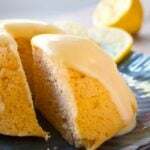 They are deliciously moist and spongy, with a hint of vanilla and rolled in granulated sweetener. 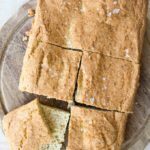 Perfect for Keto, sugar free and gluten free diets. Healthy donuts, friends. I’m lovin’ it! 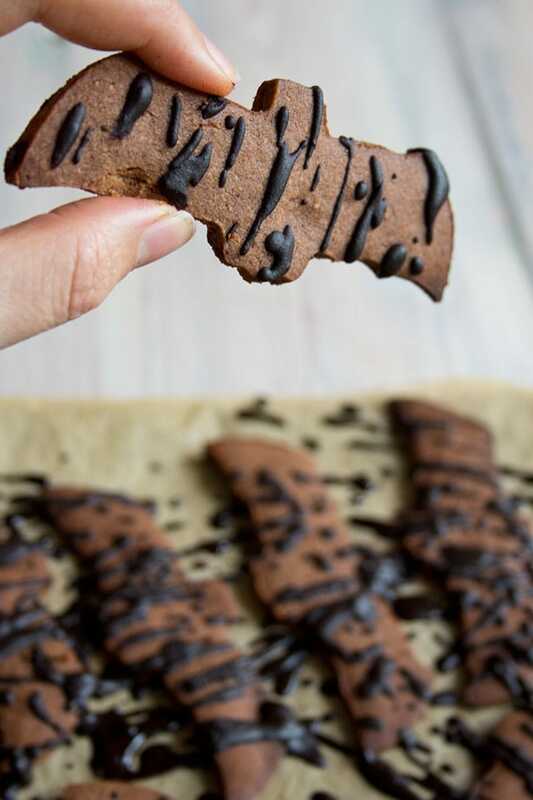 Combining two favourite breakfast spreads into one: This healthy sugar free peanut nutella is so simple to make and great on bread or waffles. 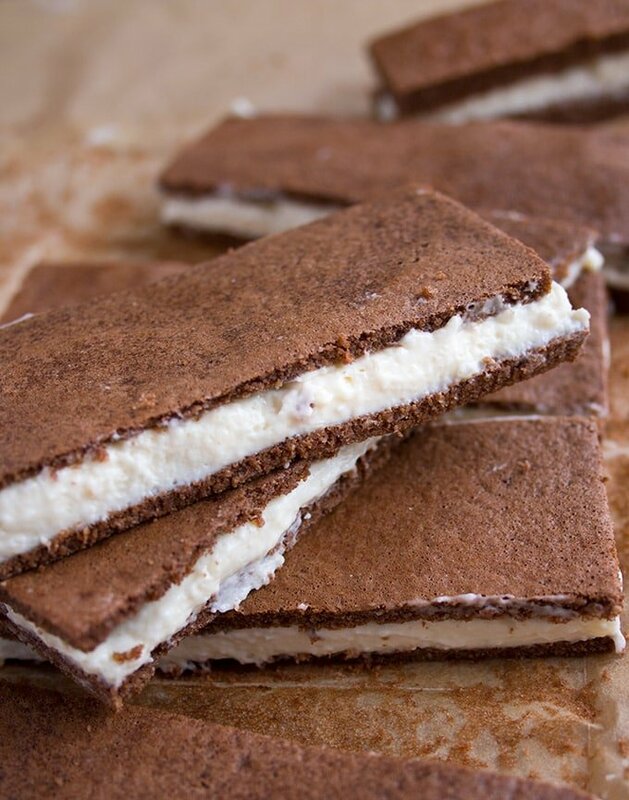 A healthy makeover for a European cult snack: Say hello to the sugar free kinder milk slice. Kinder milk slice. Oh, those memories that come flooding in! 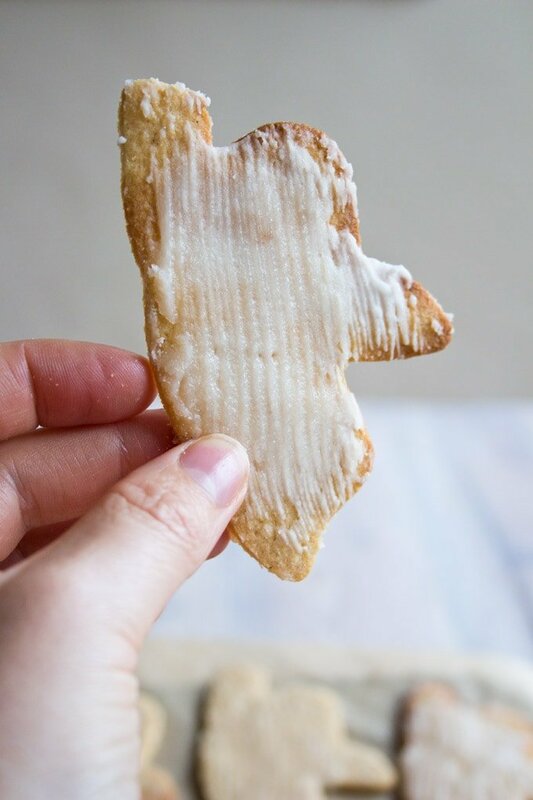 When I grew up in Germany, it was just the coolest snack. The kid that had a “Milchschnitte” in his pocket was the boss. You’d pull it out of your sensible parka during break time and everyone would envy you (unless someone else had a kinder surprise perhaps – chocolate and toys combined always win)…. 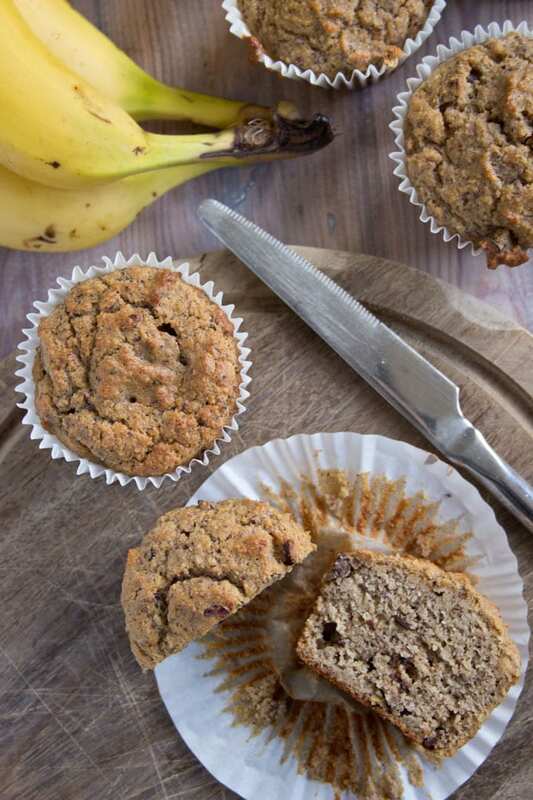 A fabulously healthy treat: These delicious Low Carb Banana Muffins are grain free, sugar free and seriously nutrient-dense. 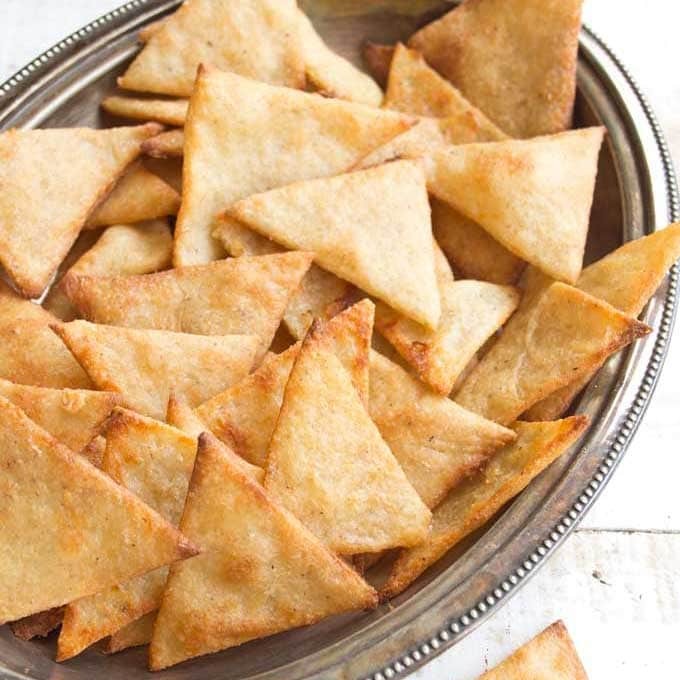 This is feel-good snacking taken to the next level. We’ve just returned from our summer holidays. Back at home in London, without sun, pool and the general feel-good-factor, I knew I had to bring the big guns in. You want peaceful silence and smiley faces all round? 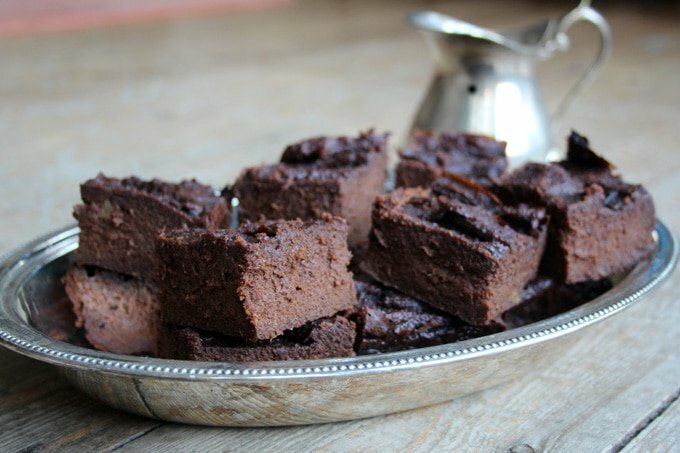 Plus that fab feeling when you’ve served up a bunch of healthy ingredients and everyone thinks it’s a real treat? 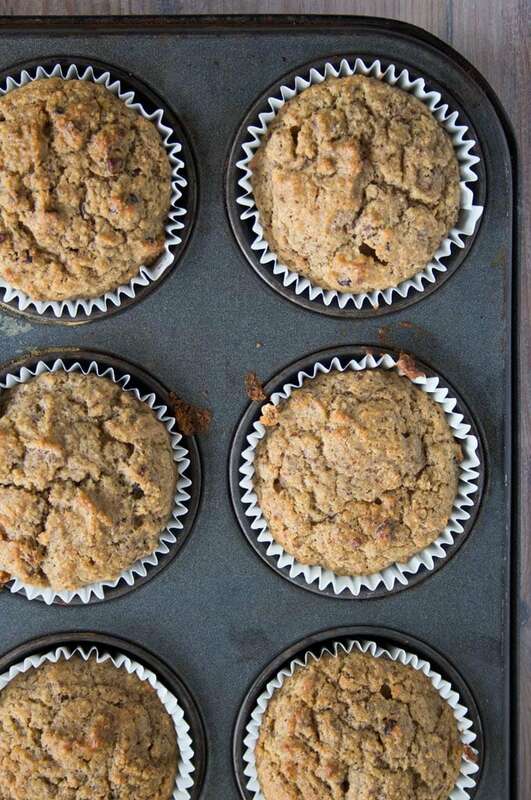 Make these Low Carb Banana Muffins. They are true sugar free baking magic. 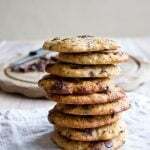 Because this recipe uses almond flour and ground flax seed, the texture is a bit coarser than that of a wheat muffin. 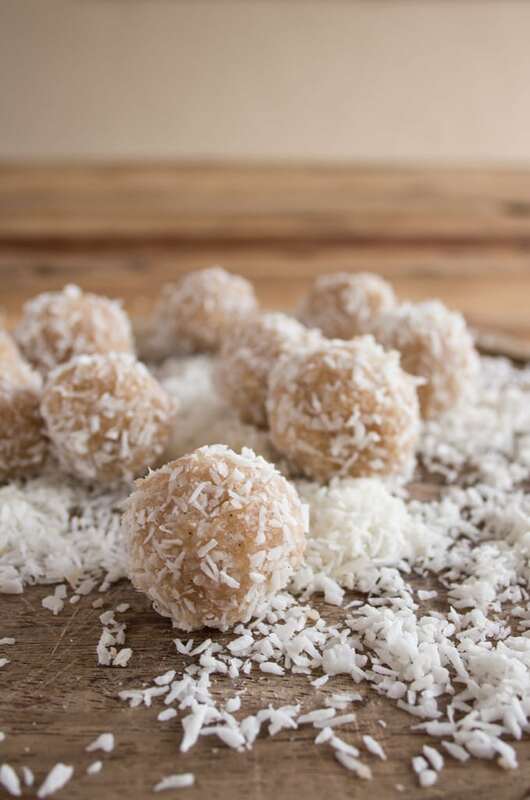 They are a brilliant nutrient-dense treat that won’t make you feel bloated the way a wheat muffin does. Plus they are actually good for you. Now, that’s what I call a win-win! Hang on though – banana? Can I eat banana on a low carb diet? Bananas contain the largest amount of carbs among fruits. 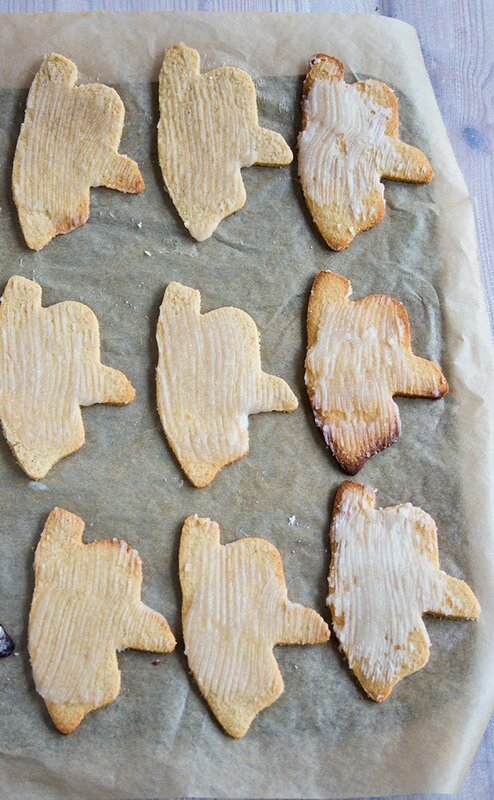 In fact, they are made up almost completely out of water and carbs. One medium banana (7-8 inches long) contains about 10 calories, 25g of total carbs and 3 grams of fibre. Here’s an interesting infographic showing the carb content of fruits from low to high. 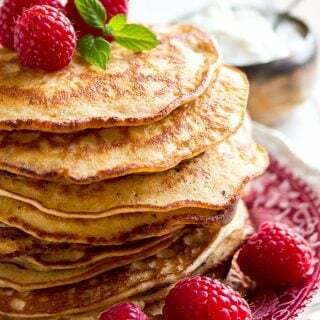 If you are on a moderate low carb diet you’ll aim to stay between 20-50 net carbs per day (you subtract the fibre content from the total carbs to calculate the net carbs. The fibre is non-digestible). This means banana is one of the fruits we generally avoid on a low carb diet. 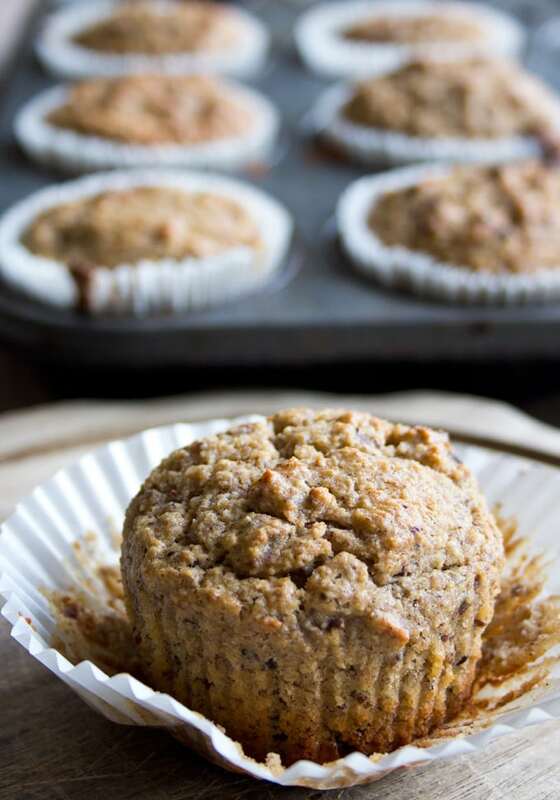 How come these banana muffins are low carb? 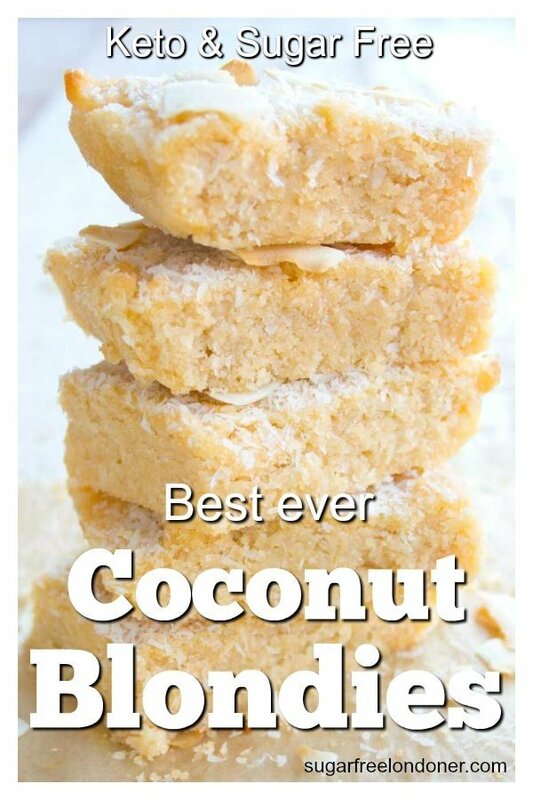 Easy: There is only one banana in the entire recipe! As we distribute it here among 8 or 9 muffins, the carbohydrate content of each muffin is quite low. The banana flavour is so strong you can taste it with every bite! Top tip: Make sure the banana you use is VERY RIPE. The browner the peel the better! Ripe bananas have WAY more flavour than the ones with yellow or – God forbid – green peel. 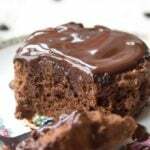 Try my other low carb muffin recipes! A fabulously healthy treat: These delicious Low Carb Chocolate Banana Muffins are grain free, sugar free and seriously nutrient-dense. 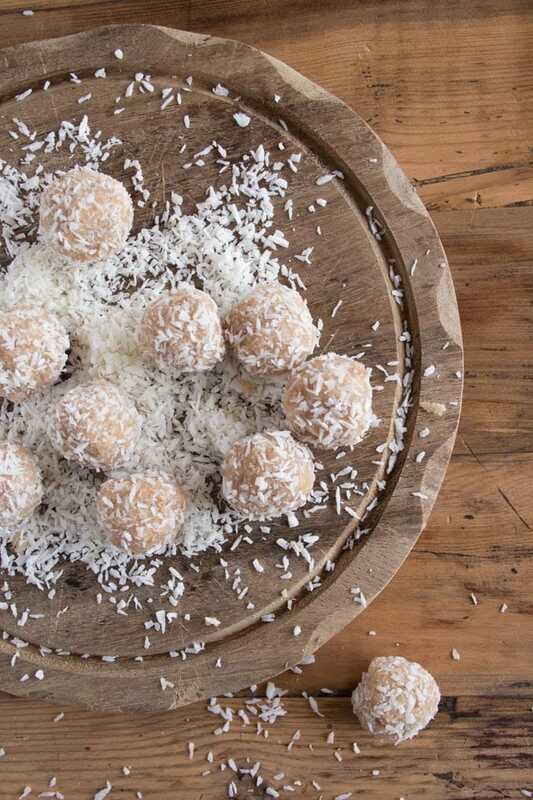 This is feel-good snacking taken to the next level. Preheat the oven to 180 degrees Celsius / 356 Fahrenheit. Mix the banana, eggs, almond milk and oil in a food processor or with a blender. Fill into a muffin tin lined with paper cups. If you don't have any to hand, make sure the tin is really well greased. My mix made 8 muffins, but I did "try" the dough quite a few times. Yours might yield 9! Bake at 180 degrees 25-30 minutes or until browned on top. 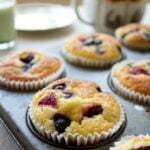 You can also test with a cocktail stick or a knife - if they come out dry, the muffins are done. The nutrition information below is based on using cacao nibs, which have no added sugar at all. 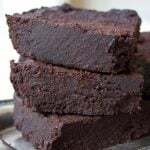 If you prefer to choose dark chocolate, the sugar content would increase depending on the cocoa content. 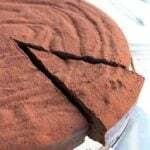 The higher the cocoa content, the less sugar! Make sure you choose a chocolate with at least 85% cocoa. 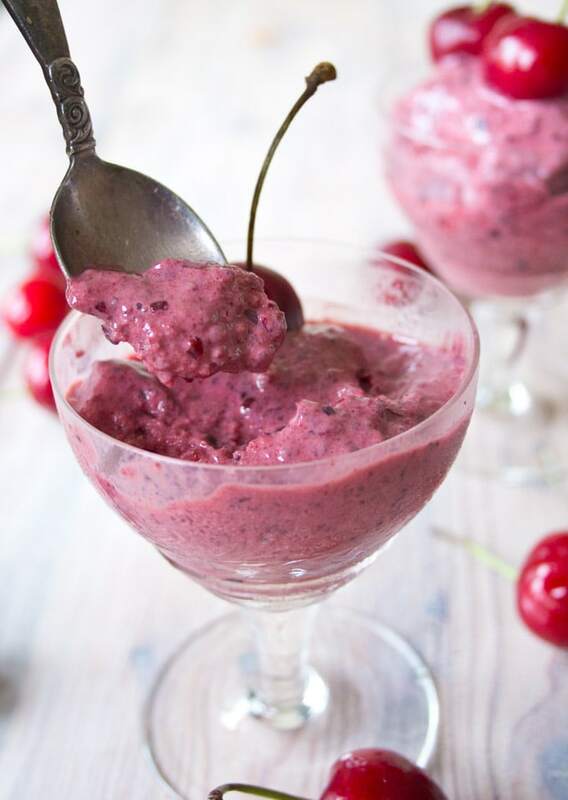 This sugar free frozen yogurt with cherries and chia seeds is refreshing and irresistibly fruity. You might be a chia veteran. But you might just be like me, a Salvia Hispanica novice. Just getting your head around WHY you should care about chia seeds and WHAT THE ? to do with them. Well, today I’ll be here to lend a helping hand. I have just purchased a gigantic pack and was literally gagging to come up with some interesting ways to use them. May I present to you a sugar free frozen yogurt with cherries and chia! Chia seeds are the seeds of a plant that grows in Mexico and Central America and were a staple food for the Aztecs and Mayans. In fact, “chia” is the ancient Mayan word for “strength”. 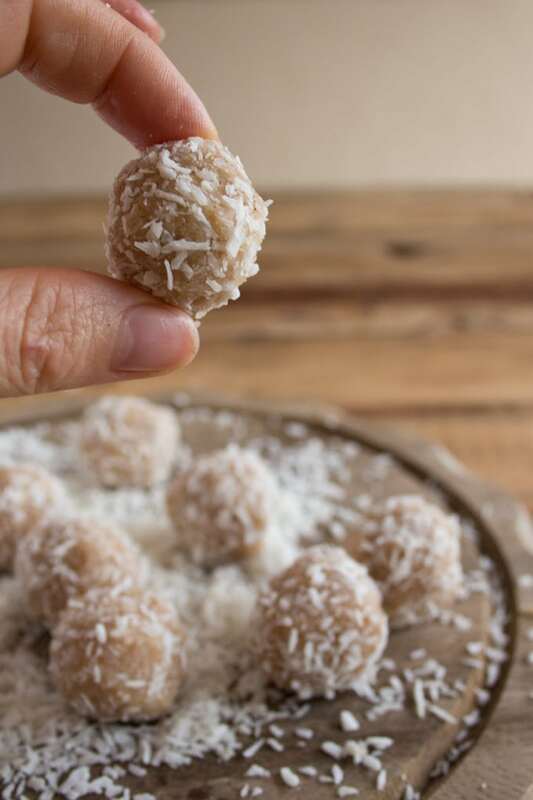 The seeds contain significant amounts of fibre and omega-3 fatty acids as well as plenty of high quality protein, several essential minerals and antioxidants. Research shows that they may improve risk factors for diabetes and heart disease. They also increase blood levels of heart-healthy omega-3 fats and lead to improved digestive health. Friends, these seeds are not just another crazy fly by night fad. They are a true superfood that’s here to stay. As you only need a couple of spoonfuls per portion, one bag of chia seeds will last a long time. Like so many seeds, chia packs a ton of nutrition in that teensy tiny package. But probably the most interesting thing about chia seeds is their high fibre content. 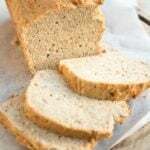 Looking at the nutrition breakdown, an ounce of chia seeds has 12 grams of “carbohydrate.” However, eleven of those grams are fibre, which isn’t digested by the body. Fibre does not raise blood sugar and does not need insulin to be disposed of. The real carbohydrate content is only one gram per ounce, which is very, very low and makes chia a perfect low carb friendly food. Because of its high fibre content, chia seeds can absorb up to 12 times their weight in liquid. So when you add them to, say, milk, you will get a “pudding”, thickened by the seeds themselves as they expand. Fibre also feeds the good bacteria in the gut, which we all know now is essential for our health. By weight, chia seeds contain 40 % fibre, which makes them one of the best sources of fibre available. 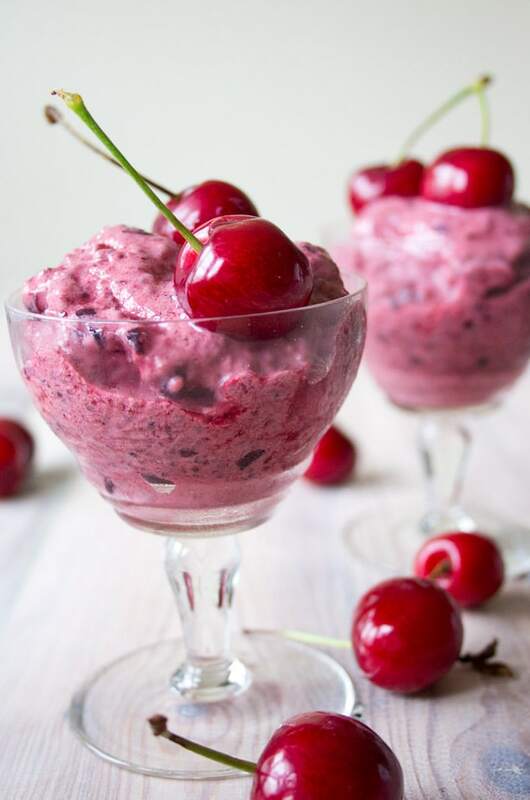 This sugar free frozen yogurt with cherries and chia is so easy to make. All you need is 4 ingredients, 1 minute of blending, 10 minutes of patience and a few hungry mouths to feed. We all loved the incredibly fruity flavour combined with the crunchy edge of the chia seeds that jazz up the texture of the froyo. Because of the expanding properties of the seeds they bind the liquid in the yogurt and fruit, helping to keep the dish “in shape” for longer. And, of course, as a health fanatic (yes, I am aware) I felt AWESOME feeding my family’s and my own friendly gut bacteria. Take a spoonful of sugar free frozen yogurt and imagine it’s like stroking their tiny cute heads. There you go, lovely little health helpers! We’ve got each other’s backs. In a tall bowl or your food processor, soak the chia seeds in the yoghurt for 10 minutes. Add the frozen cherries and sweetener and blend. Serve immediately or freeze to firm up for up to 1 hour, stirring occasionally. You can use fresh cherries if you wish, but then you'd obviously have to freeze the mix until firm. I decided on frozen cherries as they are pitted already.